Average cartridge yields 1400 standard pages. Declared yield value in accordance with ISO/IEC 19798. 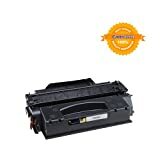 Reviews about the "HP Laserjet CB543A 125A Cartridge in Retail Packaging-Magenta"
Average Review 3.8 out of 5.0 generated from 25 reviewers. Some of the latest ones are shown below. 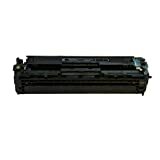 Not the "HP Laserjet CB543A 125A Cartridge in Retail Packaging-Magenta" in "Laser Printer Toner" you are looking for? Click Here to search for the other Laser Printer Toner in Amazon.